Anna Marie began her real estate career at the early age of 18 and has spent over 35 years as one of the most successful residential real estate brokers in the western United States. Early on in her career she saw that real estate was her gift and passion and by 23 owned her own real estate company, Casa Nova Realty in Arizona. At her early age she found her niche specialized in first time home buyers because she could relate and they really needed her, she also loved working with banks helping them sell their reposed homes. Back then the interest rates sky rocketed into the teens and she became an expert at creative financing and sales. With her love for people and commitment to community, Anna Marie has served on numerous non-profit organizations and boards and was one of the founding members of the Yacht Club (Young Arizonian Charting a Healthier Tomorrow). 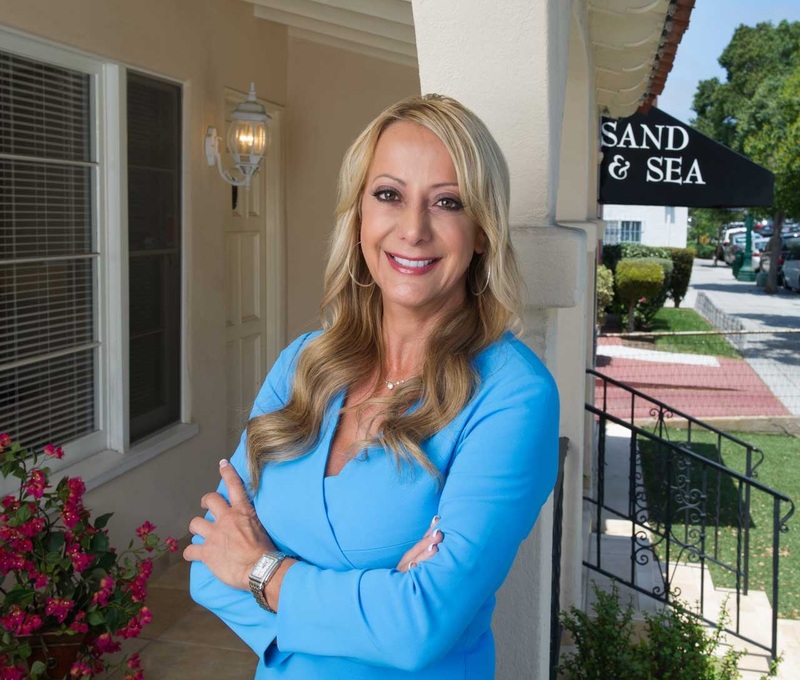 Now owner and founder of Sand and Sea Realty Anna Marie is not only the Owner and Broker she is hands on in all the daily activities from personally handling listings and sales in all areas of San Diego, managing the sales and support team, overseeing all marketing efforts, creating partnerships with investor and cultivating bank relationships. In addition she has been living her dream of being a developer and investor and has to date developed with partners over 38 projects in several states consisting of major remodels in the beach area, 27 apartment buildings converted into condominiums, redeveloped a medical building and an office building downtown San Diego. What do you want our readers to know about you? That I have clients for life and they keep coming back and trust and refer me to all their friends and family. That they love working with me and they know I care and all my clients become family. I have a 5 Star reputation in the Real Estate community Tell us about your areas of expertise at Sand and Sea Helping people make the smartest decision when it comes to one of the biggest investments of their life. I am a creative person with a business mind and sense so I can see exactly what can be done with a property and whether or not it will be a good investment instantly. Why did you choose this career path? I wanted to be an architect and having been drawing houses since I could hold a pencil. So you could say Real Estate and development was in the stars for me. When I was really young I had an opportunity to work with builders and I learned so much and that's how I started my own company when I was 23 years old specializing in new home sales and development. What do you love most about what you do? Probably the fact that I know everyone needs me and truly believe they should buy Real Estate if they want to get ahead in life or have any money to retire. I really enjoy the art of negotiating and am a very sensitive person so I hold my clients hand throughout the deal and after its closed. I like to think that I sell and know real estate by heart!!! Also my experience and real estate knowledge and savvy helps me get the deal done and everyone wins. What do you love about the real estate market in San Diego? I love San Diego it is the best city in the world and I have traveled a lot. I have made it a point to learn all the different areas and neighborhoods. The Real Estate market here is fabulous and there are so many opportunities and right now with the rates as low as they are you cannot make a bad decision. What advice do you have for other women entering your profession - Treat it like a business not a hobby, figure out what you are good at and expand on that. You only get out of work and life what you are willing to put into it so Show it and be present!!! I love mentoring young agents because I feel like it was just yesterday that I was one of them and now I could write the book. Last but not least I love what I do, I am really good at it and most important it is still FUN for me after 35 plus years!! !